Pamela Wible, M.D., is a family physician born into a family of physicians. Her parents warned her not to pursue medicine. She followed her heart only to discover that to heal her patients she had to first heal her profession. So she led a series of town hall meetings where she invited citizens to design the clinic of their dreams. Celebrated since 2005, Wible's pioneering model has sparked a populist movement that has inspired Americans to create ideal clinics and hospitals nationwide. Dr. Wible is author of Pet Goats & Pap Smears: 101 Medical Adventures to Open Your Heart & Mind. 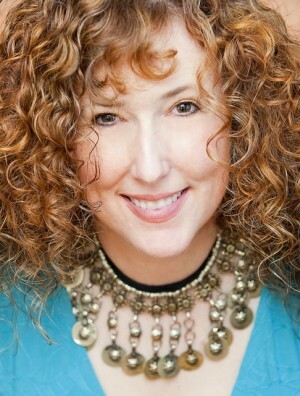 She is also coauthor of two award-winning anthologies: Goddess Shift: Women Leading for a Change with Michelle Obama and Oprah Winfrey and Optimism: Cultivating the Magic Quality that Can Extend Your Lifespan, Boost Your Energy, and Make You Happy Now with Jimmy Carter, Steve Jobs, and other visionaries. Her model is featured in the Harvard School of Public Health's newest edition of Renegotiating Health Care: Resolving Conflict to Build Collaboration, a textbook examining major trends with the potential to change the dynamics of health care. Dr. Wible has been interviewed by CNN, ABC, CBS, and she is a frequent guest on NPR. Pamela Wible is a graduate of Wellesley College, University of Texas Medical Branch at Galveston and University of Arizona's Department of Family and Community Medicine. Now, medical schools and hospitals across America are calling on Dr. Wible to help students, physicians—even hospital CEOs—deliver ideal care to their communities. Learn more about the Ideal Medical Care movement at www.idealmedicalcare.org.